Rentokil Insectrol Ant Spray is a fast acting aerosol, ideal for eradicating ants from hard-to-reach areas, cracks and crevices. Rentokil Insectrol Ant Spray is a highly effective insecticide for achieving both fast knockdown to ants and extended control through its long-lasting insecticidal barrier around infested areas, remaining effective for several weeks. This powerful aerosol is excellent for blasting hard-to-reach areas where ants can be found harbouring, such as behind electrical appliances, underneath kitchen units or between floor boards. 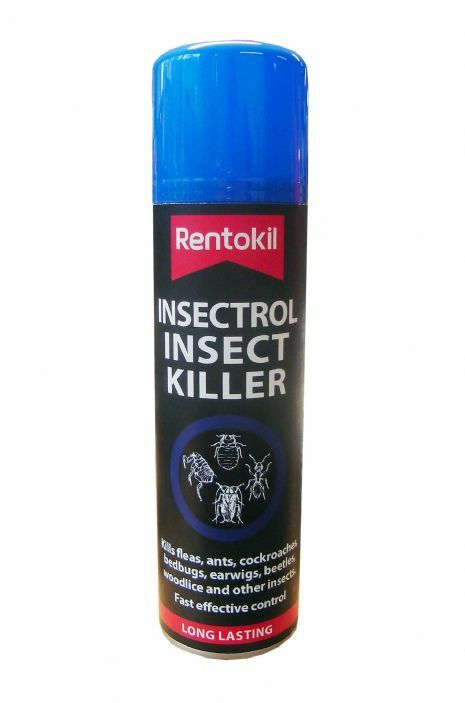 We recommend using the Rentokil Insectrol alongside our other products such as Pest Expert Formula ‘C’ Ant Spray and Formula ‘P’ Powder for comprehensive ant control. Effective. This product brings be a little more peace of mind. I sprayed this aerosol, they immediately dropped to the floor before I gave them another good dose of the spray, I then sprayed all around the edges of the door and above and I haven't had a repeat of that incident again so far after six days. Very impressed, I don't leave the house without it, and I'll always make sure I've got stock of this in the house.